Its Monday morning and I’m gearing up for another week of working. However this week isn't like most weeks. This week I’m heading over to Trollhättan on an early morning flight from Stockholm. Even for people like me who love working as a freelancer, and who finally, after years of grinding managed to find clients they genuinely like and are passionate about- some Mondays are still a little slow. Nethertheless, as I make my way from Stockholm towards Gothenburg and I am filled with a sense of excitement. It feels so good to be excited about work, it feels like you have “made it” in a sense and as I touch down in Gothenburg I am stoked to be heading to the Ridestore HQ. I think when I passed the age of 2yrs, It became that little bit harder to meet new people, getting over that initial “small talk” is too much like hard work but sometimes you meet a group of people and you connect as if you have known each other for the last 10 years. 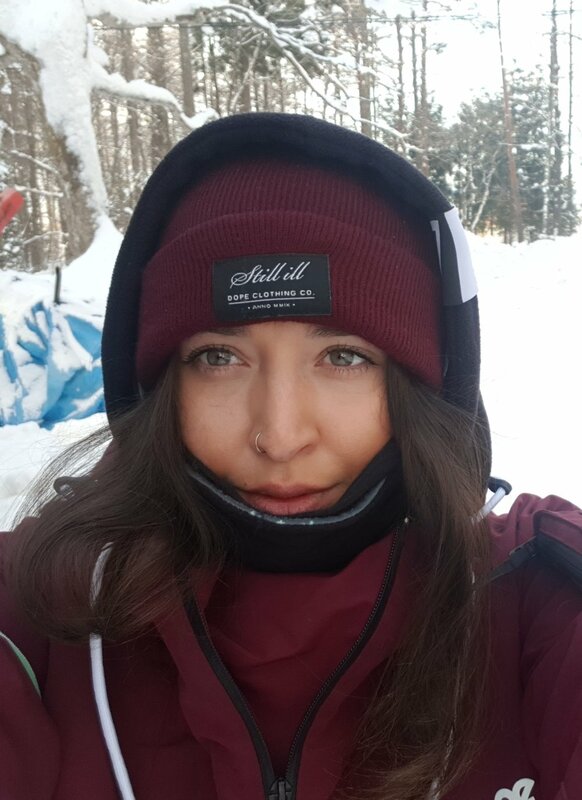 Coming from a freerider ski/snowboard scene, you can meet people and because you have such a strong common interest you are immediately bonded. This is what happened as soon as Lukas picked me up. I was taken to the office and despite the fact I was late (typical Italian) I was barging in on product description meeting; which was the reason of the meet up, making sure we get the best message across about our products to our customers. You might expect the office to be a little disgruntled at my late arrival and disturbance but I was welcomed like an old friend at the bottom of the chair lift, ready to go ride some pow. I was greeted with warm embraces and jokes before I was sat down comfortably in front of the projector to enjoy the rest of the presentation. Getting to know the products for the new season was amazing, I had worn Dope Snow all of last season and felt like I knew the line well but to understand how much love, care and attention goes into the design and production was fantastic. So much thought and passion goes into every stitch. I can't say I am overly familiar with the office lifestyle. People talk about the “office grind” and “office politics” and those negative terms but as a lucky traveling digital nomad, I never understood it throughly. My office life is my laptop, wifi and wherever in the world I happen to be. So whenever I hear of people talking about the 9-5 lifestyle I struggle to relate. What I do know is that the office at Ridestore is totally unique. A open and welcoming space, full of light. There are places to work and relax, bridging the gap between work and play. You have a space that helps keep you motivated and then across the room a space to grab a coffee and talk to your colleagues; this way, instead of feeling resentful about talking about work during your breaks or free time, the office space allows for the easy free flow of ideas. A space that encourages creativity and vibrancy. Wait! I almost forgot the best bit, the office isn't just an office, there is also a photo studio, a living area with beds and a gym, a huge kitchen and a dirt bike track- Radical! Another rare and charming quality to Ridestore HQ and the meet up in general is that down time is as prioritized as work time. Its a quality that I have experienced a lot in Sweden, something that many other countries are behind on - its the radical concept that when employees are encouraged to separate the work from down time, therefore allowing ideas and creativity to flow, letting your mind relax and inspiration to come without feeling the pressure. Now I normally opt from some yoga and a little light exercise, but at the Ridestore HQ they do things a little differently. Now, if you imagine its around 5pm you have just had a day “at work”, however you don’t feel exhausted, you feel like you made a genuine contribution, then your colleagues come bounding into the kitchen saying let’s go “dirt biking”- It’s a hard request to ignore. Spending a couple of hours in the afternoon having the guys teach me the ropes on the bike and moving at a glacial pace of course, it was the best way to wind down. Then over dinner prepared by us, everyone doing a little bit, ideas, feedback and contributions flow, it feels less forced, less intense and yet the opportunity to exchange ideas is there and the value is still great. That’s the beauty of the Ridestore philosophy, empowering their staff to offer their best. The work, isn’t work so to speak. What I discovered, from getting to know everyone a little better is that you are allowed to choose your place in the company. Where are your skills and expertise best lended? Do you see yourself in product development, marketing or maybe in operations? Where you see yourself, go, explore that! It’s a really fulfilling feeling to feel empowered at work, you are supported by your manager, your colleagues and everyone around you to offer value. It’s tough to work in an environment where you feel your work and effort just falls into the background, unnoticed and undervalued but when you find a job that allows your to flex your expert muscles, thats a better way to measure success in life. I have always been a cheerleader, I love complimenting people, pointing out the small achievements and seeing people glow. I like to empower people. Therefore it could seem like a blog post about my experience with Ridestore may not be sincere, an overly positive- rainbow and unicorn style blog simply glorifying the company when in actual fact, it’s only okay, average at best. This is not the case, I wanted to find fault, in a weird way, then I could have a reason to hold back from investing too much energy and passion into my work, I often get to investing then feel sad when it ends. However, I have resigned myself to the fact now that it’s too late, I’m in, I’m all in, like every other member of staff from the freelancers like me to the founders. I have that ridestore feeling, and it’s so annoyingly warm and fuzzy! I am excited for what’s coming this winter season, so should you!